A few weeks ago, I tried out Saltie Girl for the first time. 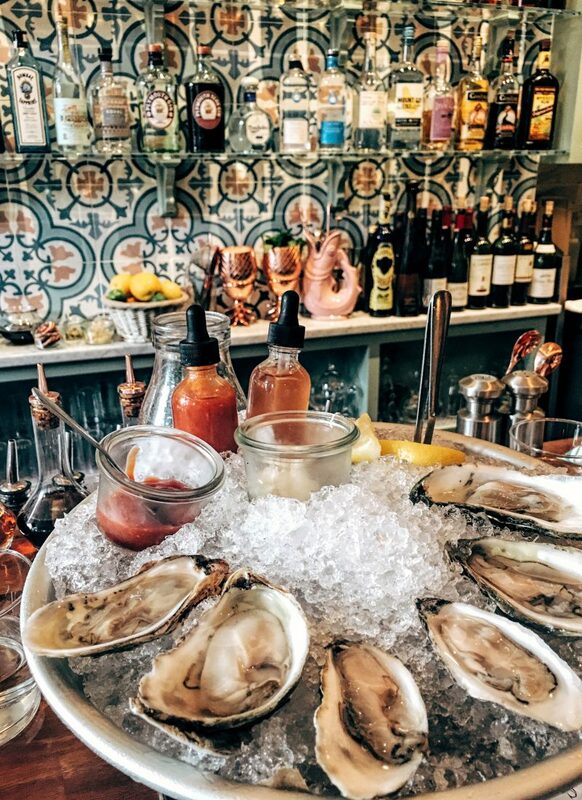 It’s a new Back Bay restaurant that focuses all of their effort on seafood – raw, cooked and tinned. They have a great aesthetic as well. 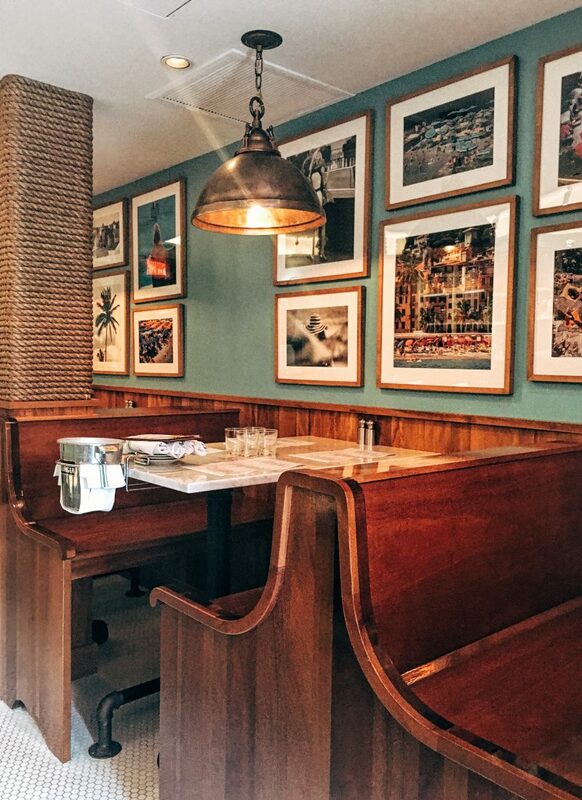 Each detail inside the small Dartmouth Street restaurant is a perfect combination of vintage and beach. And it’s not bad for an Instagram or two. I start most meals with oysters. I wasn’t familiar with all the options so the staff recommended a few for me to try. No surprise, they were excellent. Some were brinier than others, which I love, but they have options for everyone. The platter comes with cocktail sauce, horseradish, and hot sauce and mignonette in an eye dropper. Which is genius. There are a few different toasts on the menu. Personally, I could eat toast all day – if the bread is good enough. 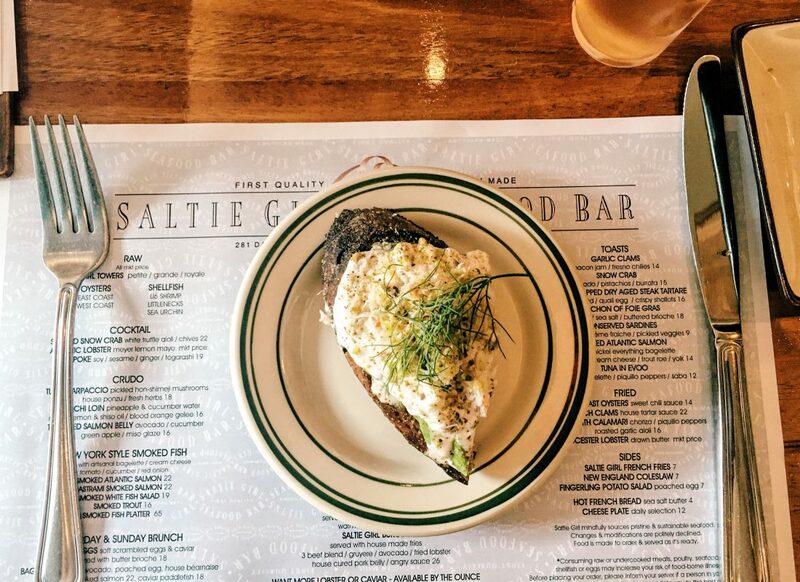 And the bread is good enough at Saltie Girl. I got the Snow Crab toast with burrata and avocado. I don’t know if other people say this but if something is amazingly delicious I say, “I want to rub it on my face.” I said it here. It’s phenomenal. 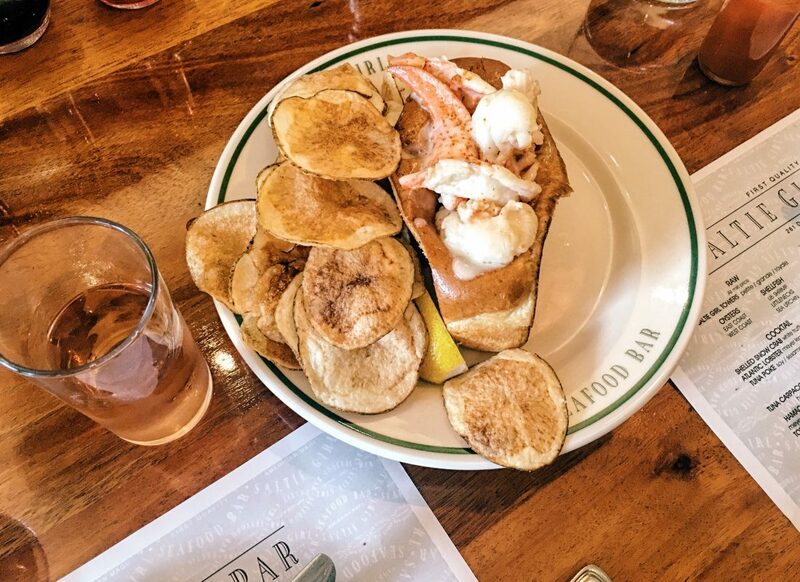 SG also has killer brunch items woven into their standard menu. Not only do they offer fried lobster and waffles (no, I haven’t tried it yet), but they also offer smoked fish and bagels. This is the spread you get with the smoked trout. I was already leaning heavily on the carbs, so I didn’t eat the bagel… but the fish was .SO.GOOD. All in all, it was a great experience. Not only did they have great food, but the whole restaurant is eye candy. 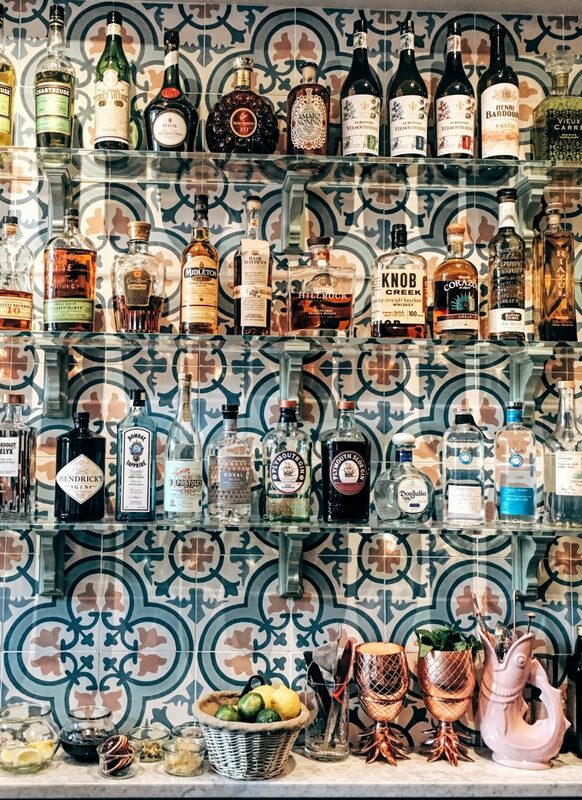 Grab a seat at the bar, or in a booth. Either place, you’ll have something pretty to look at. Oh – and I can’t believe I didn’t mention this yet – they have a whole rosé menu. Like, more than one option. If you’re a rosé fan, this is huge. 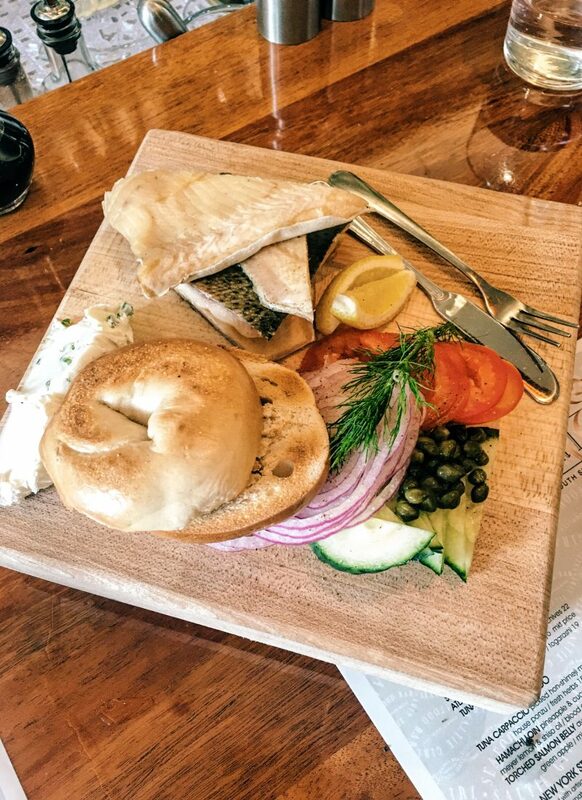 I love this smoked fish and bagel pairing.